This entry was posted in Funny articles and tagged Church of England, haynes manual, heatwave, humour, kate bottley, youtube by masterofthememes. Bookmark the permalink. How splendid to read yet another reference about the Rev’d Kate Bottley. She has certainly made a notable impression within the CofE. Good for her ! 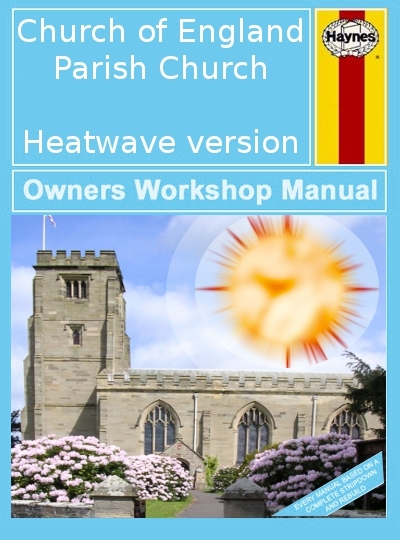 Pingback: Church of England issues additional heatwave tip: | Tea and Cake or Death?